Bryce Canyon National Park is one of Utah’s biggest tourist attractions and a can’t miss US national park. It’s known for being home to the largest collection of hoodoos, odd-shaped pillars of rock left from erosion, in the world. 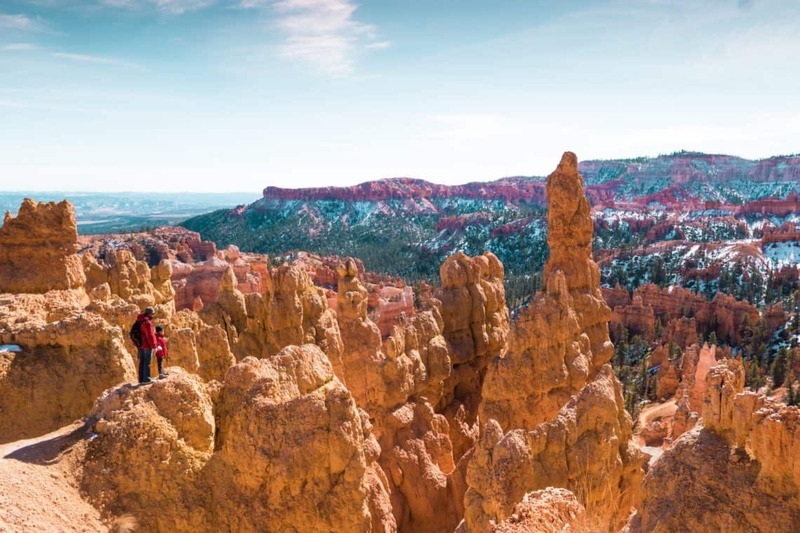 The many trails throughout Bryce Canyon allow visitors to see the canyon from above and below, along with many hoodoos and other natural beauty. 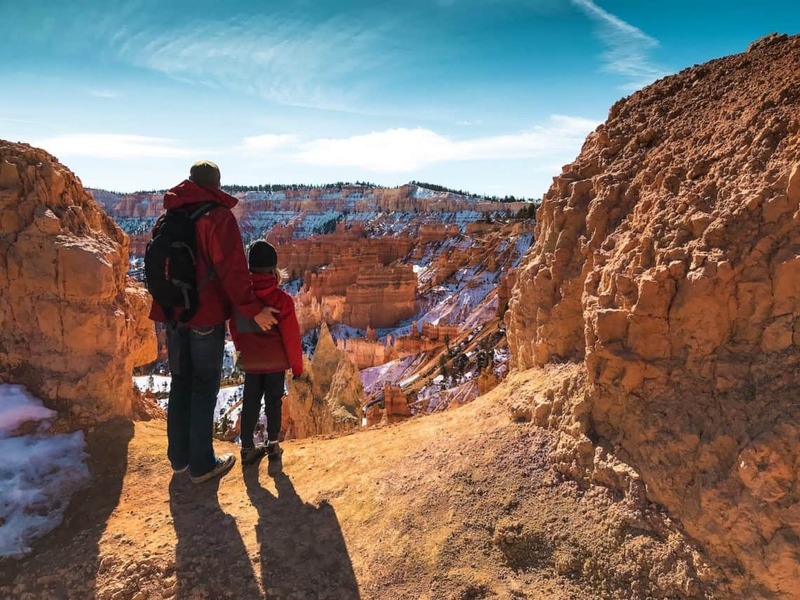 As many of the trails are short and easily accessible, Bryce Canyon is a great destination for families. Bryce Canyon National Park is open year-round, though summer is the most popular time to visit. Temperatures remain steady throughout the day, but nights can be chilly. It does snow in the winter as well, leaving April to October to be the best time of year to hike most trails. Regardless of which trail you choose to hike with your family, remember to always pack extra water and snacks. Dressing in layers is also recommended and the rangers are always happy to help with itinerary recommendations. Navajo Loop Trail. 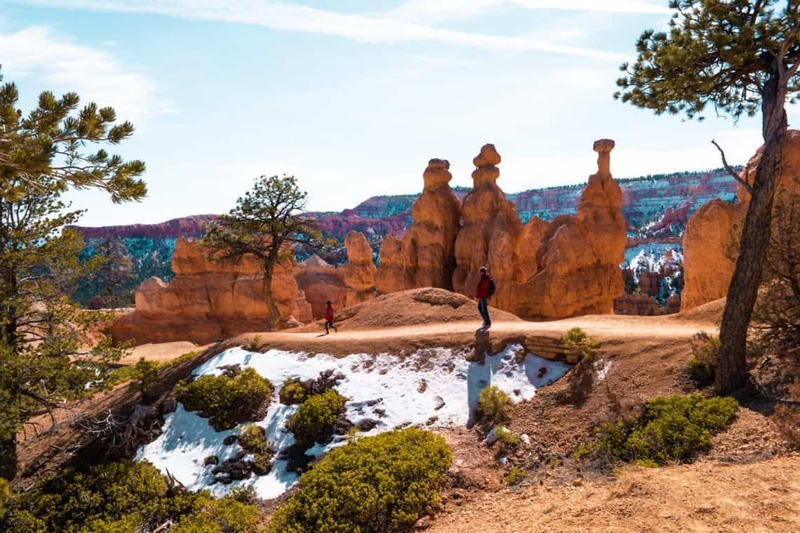 The Navajo Loop Trail is one of the most popular family friendly hikes in Bryce Canyon and one of the most beautiful hikes available in general. The loop, which typically takes 1 to 2 hours to complete, starts at Sunset Point and continues on to the canyon floor. The complete loop is just under a mile and a half, which makes it a do-able trail for families with kids of all ages. The Navajo Loop Trail passes several popular hoodoo formations, including Wall Street, Twin Bridges and Thor’s Hammer. The best season to visit is April to October. Queens Garden Trail. 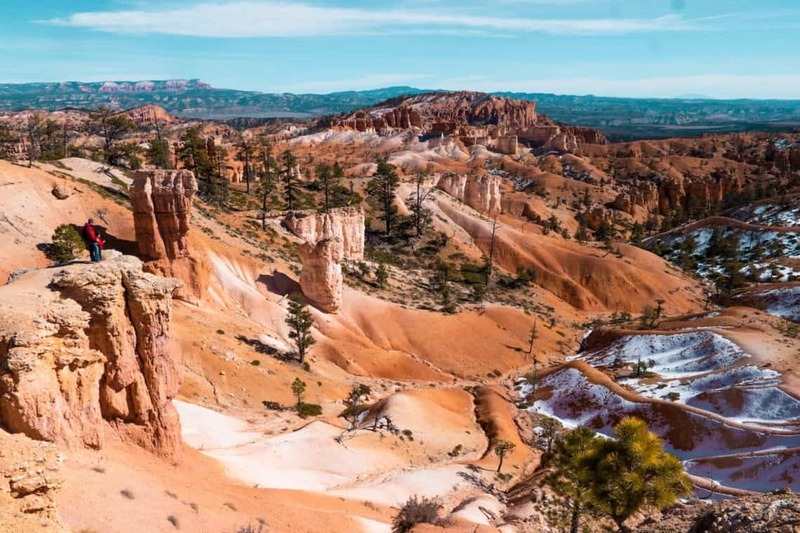 The Queens Garden Trail is an out-and-back trail that drops 920 feet below the canyon rim but is often connected to the Navajo Loop Trail for those looking for a slightly longer hike. In fact, the Queens Garden/Navajo Loop Trail is considered to be one of the best, most beautiful hikes in the United States. The trail also starts at Sunset Point. It’s slightly steeper than the Navajo Loop Trail with steep slopes and loose gravel, making it more appropriate for slightly older kids and is best completed between April and October. Rim Trail. The Rim Trail is another of the most popular trails in Bryce Canyon that’s perfect for families. The entire trail is 5.5 miles one way with a shuttle available to return back to the parking area. 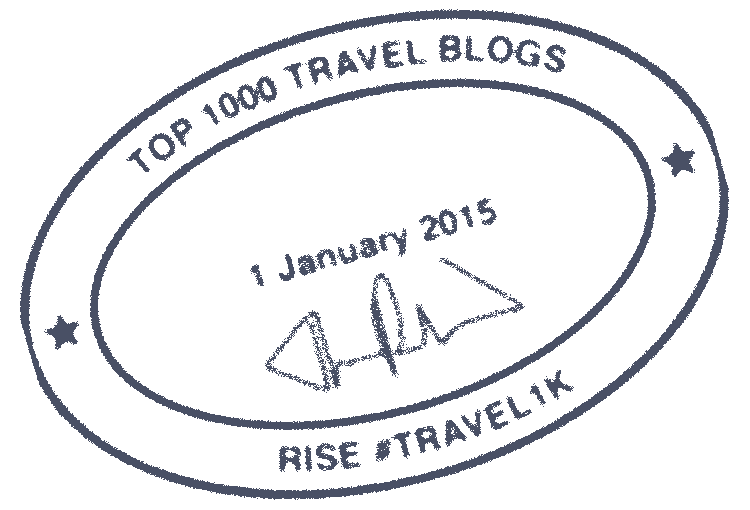 While the the full trail may be too long for families with young children, there are many options to shorten the trail, including wheelchair-accessible paths under 1 mile. There are also many areas to stop for a break. The Rim Trail offers a view of the canyons and spires below, starting from Fairyland Point to Bryce Point, though it can be accessed from several other points as well. The entire hike typically takes 3 hours and is best between April and October. Mossy Cave Trail. The Mossy Cave Trail is one of the easiest trails at Bryce Canyon, making it perfect for families with kids of all ages. The entire trail is .8 miles and can be walked in 15 minutes or so, making it perfect for families with small kids who are not up to walking long distances. The trail ends in a mossy cave and beautiful 10-foot waterfall. The Mossy Cave Trail is best between April and October.